No longer is Napa Valley the only wine region in the United States. West Michigan's cool climate and nutrient rich soil is the perfect combination to grow quality grapes. 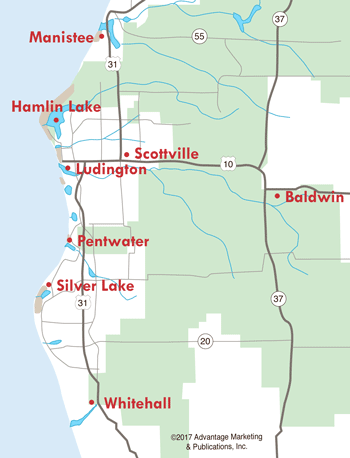 Southwestern Michigan boasts many vineyards, as does the Leelanau and Old Mission peninsulas near Traverse City. Here in West Michigan there are at least four vineyards from New Era up to Manistee....Douglas Valley, Jomargha, Krolczyk Cellars and Tartan Hill. Chef Leo of Luciano's Ristoranti complements the finest wines with his culinary masterpieces. 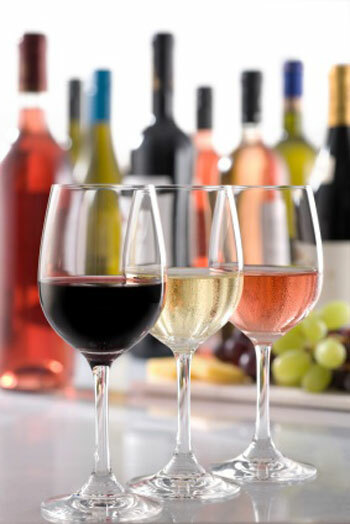 Summer's Inn, a charming motel just blocks from downtown Ludington, offers weekly wine tasting events during the busy season. Love Wines, located on James Street in downtown Ludington, offers wine tasting of all of their Ludington-made wines. Douglas Valley, an organic vineyard community just north of Manistee, has a tasting house which once was a "Bunk House" for rail passengers on the Manistee & North Eastern Railroad. The century-old building was renovated and enlarged with a field stone porch, overlooking a serene, rural setting. Every February, downtown Pentwater hosts the Corks & Canvas Winter Wine Tasting & Art Walk on a Saturday afternoon. This event benefits a local charity. Then in May, the Annual Wine & Art by the Water takes place, sponsored by the Pentwater Women's Club. It's a wonderful afternoon where you can enjoy beautiful artwork, delicious hors d'oeuvres and fine wines. All proceeds support college scholarships for graduating seniors. In September, Wine and Art at the Harbor is sponsored by the Grapes of Mirth organization. The event benefits Harbor Hospice and includes a gala art auction, wine tastings and music. Oceana Winery offers a wide variety of wines and is located right in downtown Pentwater. Stop in for a wine tasting during the summer and fall months. Tartan Hill Winery is a beautiful vineyard on Stoney Lake Road just off US-31. This small, family-owned winery has been in business since 1985, and they invite you to stop in for a free wine tasting, while enjoying the panoramic views of Oceana County. When it comes to wine tastings, one of the most popular regions in the state is in the Traverse City area of Northern Michigan. Take a nice drive along the lakeshore to Traverse City and Leelanau Peninsula wineries for a taste of Michigan's finest.